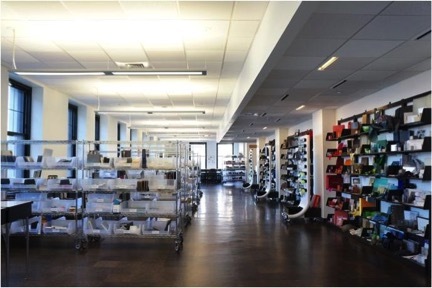 Carol S. Terry (Director of Library Services, 1987-2016) and Mark Pompelia (Visual + Material Resource Librarian) co-authored the article, Fleet Library at Rhode Island School of Design: A Decade of Success and Change, in the January 2018 issue of Art Libraries Journal, the Cambridge University Press publication of the Art Libraries Society of the United Kingdom-Ireland. The article is an adaptation of a presentation at the 2016 Arts Section satellite meeting in Chicago of the International Federation of Library Associations, for which Pompelia and Terry both received Kress Foundation International Travel Grants administered through the Art Libraries Society of North America. 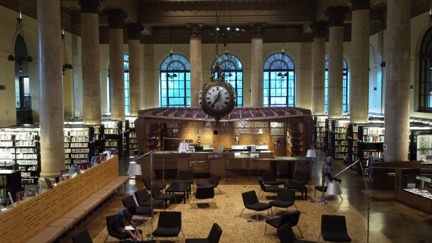 The 2016 presentation and 2018 article address the theme, The Art Library as Place: Building on the Past, Building for the Future, by describing the Fleet Library building project upon the tenth anniversary of its opening at 15 Westminster Street: the history of the library at RISD and the need for an expanded location, how the library has performed in the historic bank building, events of note, and the 2012 renovation of the former 35mm slide collection into one of the largest design material samples collections.